2018 Sponsor, advertiser, and exhibitor opportunities and benefits are still available. The deadline to be included in the conference program is October 8, 2018. We are also accepting donations for our silent auction. 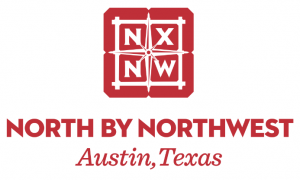 THANK YOU to NXNW for hosting our 2016, 2017, & 2018 Speaker Dinner! We’d also like to thank The Galaxy Cafe for donating our beverage service!